Developed by none other than Sir Clive Sinclair's nephew. Before the Toyota Prius and Tesla Model S, there was the Sinclair C5. Launched in 1985, the electric tricycle was supposed to be the first of many battery-powered vehicles from inventor Clive Sinclair -- renowned for developing personal computers such as the ZX Spectrum. The ambitious product was a huge flop due to its short range, low top speed and other limitations, selling only 5,000 before manufacturer Sinclair Vehicles folded. Perhaps it was ahead of its time, or at least that's what Sir Clive's nephew Grant Sinclair must be hoping, as he's created a 25th century reimagining of the C5 called the IRIS eTrike. The futuristic three-wheeler is part pushbike, part EV, with an eight-speed, twist grip gearing system. Its battery apparently has a one-hour charge cycle and a 50-mile range at a top speed of over 25MPH. But who wants the silver "Eco" version when you can get the matte black "Extreme" model with a top speed of over 30MPH? 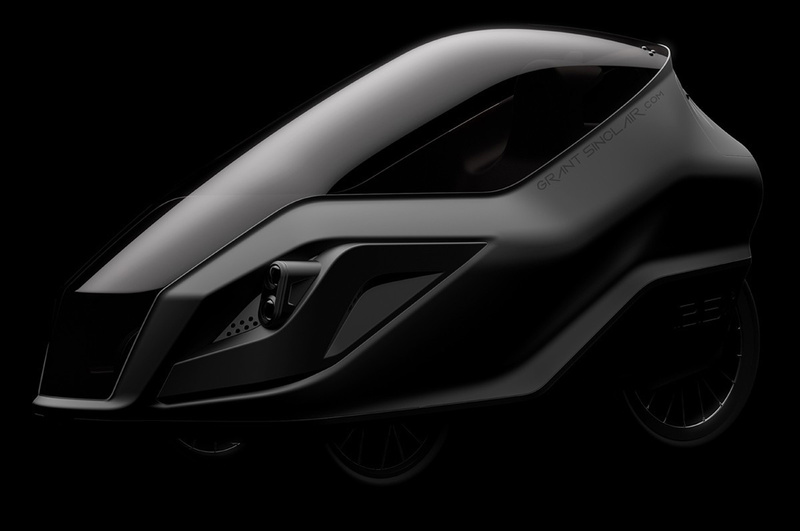 The eTrike will also be road legal, have a decent-sized boot, and is tall enough that Range Rover drivers should spot it (before crushing you anyway) -- the low profile of the C5 wasn't thought particularly safe, you see. Unlike the C5, the eTrike is also built to be an all-weather vehicle thanks to its pod-like, mostly windscreen design. Inside, you get an LCD display for the essentials like speedometer and remaining charge, but curiously, you have to stick your smartphone into the included dock to get a live feed from the rear-view camera. Available to reserve right now for a £99 deposit, the IRIS eTrike is expected to launch this winter for £2,999 for the Eco model and £3,499 for the Extreme edition. While there's no doubt a legitimate, working prototype has been developed, it's important to look at any Sinclair-associated product with a pinch of skepticism. For every ZX Spectrum re-release or re-design, there's some sketchy project or another, like the ZX Vega+ handheld that's been beset with delay after delay despite receiving over £500,000 in crowdfunding donations. Grant Sinclair himself still seems to be pursuing his POCO Zero micro computer idea after a failed Indiegogo campaign. And let's not forget that Sir Clive announced a follow-up to the Sinclair C5 in 2010, but his two-wheeled X-1 e-bike never made it to market.